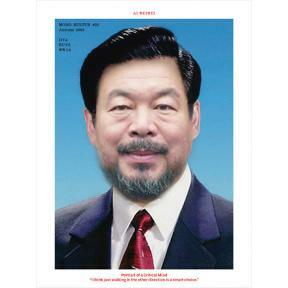 Ai Weiwei is widely viewed as the most important fine artist in China today. The outspoken critic of the political system in China gained widespread attention not only with his installations and projects for, among others, documenta XII in Kassel and Haus der Kunst in Munich, but also his architectural projects such as the Beijing Olympics Stadium. More importantly, Weiwei is frequently blurring the borders between social engagement and art, frequently addressing issues of political suppression in his work. With mono.kultur, Ai Weiwei talked about the fine arts boom in China, the mind games of architecture and why political activity can be a work of art. The issue contains not only our longest interview up to date, it also has a pretty fold-out mono.poster #06 in the back – so there.